Today I had to do my workout after work. We had a birthday lunch celebration for my boss. I used to workout exclusively after work. It's kind of funny how you can really get used to working out at a certain time of the day. Anything other than that time and you're sort of thrown off. Or I am anyway. Not only are you more fatigued by the end of the day, you don't know anyone up at the gym at that time! They're looking at you like you're a newbie and you're looking at them like they must be. All I know is I want my little area and that's it. 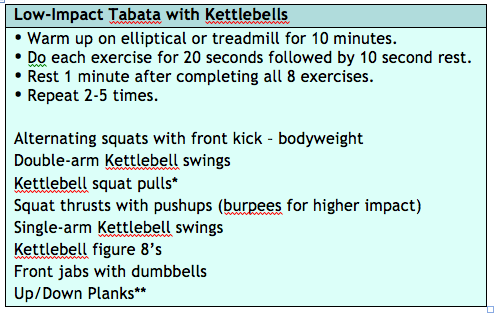 I did the tabata three times through for a total of 15 minutes. Honestly, I almost called today a rest day. I just wasn't feeling it. But once I got moving along, everything started clicking. 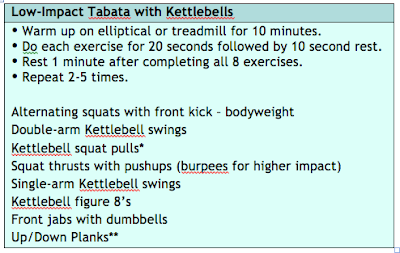 I felt stronger than I anticipated and then the tabata was really energizing - as crazy as that probably sounds. After I got home, I spent about 25 minutes rolling out and stretching. Not sure if all the rolling is helping, but the stretching feels great at least. Originally I had thought I was going to do Wok Wednesday and make up an easy stir fry. But, I didn't have some fresh veggies I wanted to use, like carrots. You gotta have carrots for stir fry right? Ok, maybe not, but I do. 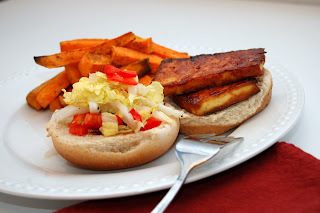 We ended up making BBQ Tofu Sandwiches. Lately if we do BBQ I just add the sauce to tempeh with some veggies. It's been a while since I've baked the tofu in slices basted with BBQ - typically do this and grill in the summer. 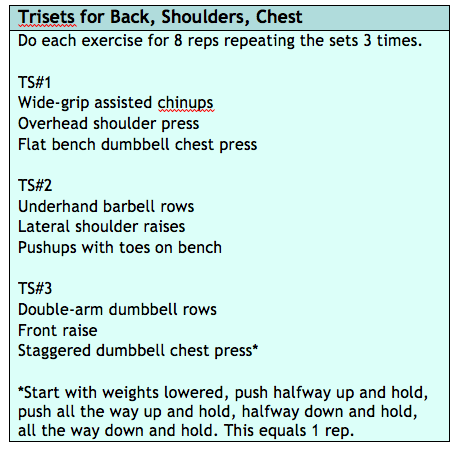 So, that's the method I went with for the evening. I dry-seared the tofu to remove most of the moisture then basted in BBQ sauce and baked until firm - flipping once and re-basting. 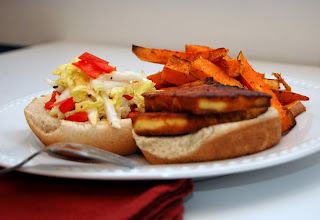 Since every BBQ sandwich needs a slaw, I made up a quick one using napa cabbage, thinly sliced red bell peppers, and green onions. I tossed in a simple marinade of rice wine vinegar, red wine vinegar, agave, and salt and pepper. And of course this had to be eaten with a fork!